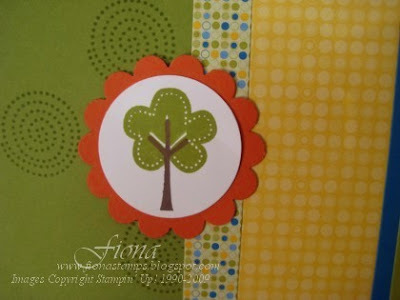 Yesterday we had the first Scrap Club class, and based our layouts on the above page, using the Trendy Trees stamp set, and the Good Morning Sunshine Designer Series Papers. This stamp set is just too cute, and so versatile. 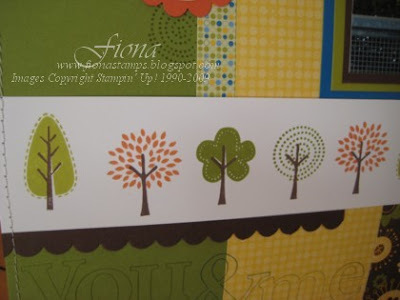 perfect for outdoor photos, autumn, family tree and many more themes. Our next Scrap Club is on Wednesday 18th June, at 8pm, and YOU are invited! We will complete 2 layouts (one based on a set design, and the other your own choice of colours/papers/theme) and the cost is $15.00 To book in please email me.